I have tried repeatedly to make doll clothes for our girls 18 inch dolls. I always end up in tears after completely ruining the material as I stitch and unstitch and restitch repeatedly. Then the total frustration hits me as I think if how much I spent on material, a pattern and the time I am wasting since nothing was actually being created. I vowed that people who make doll clothes earn the money they charge, because those are extremely hard to make! 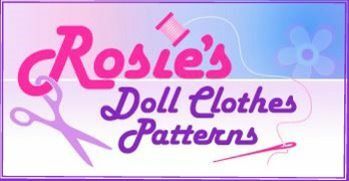 We were recently given the opportunity to try out Rosie's Doll Clothes Patterns Online Video Course (Ages 8 and up, $47.51). Rose's Doll Clothes Patterns Online Video Course gives you 12 month access to over 130 step by step video tutorials, plus 8 free downloadable doll clothes patterns. The first thing that I really enjoyed about using Rosie's Doll Clothes Patterns Online Video Course is they do not expect you to be an expert sewer. The videos are written for the beginner like me. The one who has attempted to sew, and can a little, but still needs lots of help. They also do not require you to have a bunch of fancy equipment. Each short video (usually under 5 minutes) is arranged according to topic. So if you are very new to sewing, Rosie's Doll Clothes Patterns has videos to help you learn the skills you will need broken down in short sessions. This was beneficial for both Lydia and I. She is learning how to use the big sewing machine, but it still gets away from her. We spent some time watching the videos and learning sewing terminology. There are actually 6 weeks worth of sewing videos (or less depending on how many you watch each week) helping you to grasp basic sewing techniques that will help you in making doll clothes. I found these videos very helpful as they were not only giving me a refresher course in sewing, but the video on choosing material gave some great pointers. It made Lydia and I rethink her choice of material she was going to use to make some clothes. 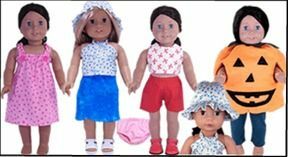 The patterns that are included with the Rosie's Doll Clothes Patterns Online Video Course (the 8 patterns included in the purchase price) are shorts, crop top, sarong, halter top, nightie, hat, underpants and pumpkin costume. Lydia and I were able to attempt the first 2 patterns during our initial review period. The patterns were very easy to print. There is even a video included on how to print the patterns. There are step by step instructions included with each pattern. So I am printed prepared and ready to go. I can emphasize enough.....watch the videos before you start each step. They are so important if you are a "beginner" seamstress like I am. But we made it through our first successful pair of shorts for our American Girl Doll. Next we started the crop top. I did not think I would make it through. I tried to read the pattern only. I have never been able to read a pattern, always had trouble. But I thought I would give it a try. Did I mention how helpful the videos are? They were the life saver for this project. The videos were so important because even watching the video I messed up. But I was able to re-watch easily and fix what mistakes I had made. And after a little time.....voila!!! Now to buy an outfit similar to this would have cost us roughly $29 - $40 from the actual American Girl catalog. 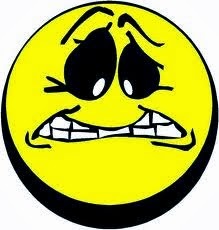 I hate the thought of spending that much money on doll clothes, when my clothes come from yard sales and Goodwill. Drumroll please......this outfit cost $2.00 to buy the fabric. We used quilt scraps from Walmart and I have material leftover to make more outfits. Actually there is enough to make Lydia a matching pair of shorts and shirt to go with this doll. That is a massive savings. I saved enough on this one outfit to offset the cost of a 12 month subscription to Rosie's Doll Clothes Patterns Online Tutorials. We haven't even stopped sewing yet!! I can't wait to keep going with this program. Lydia and I are both enjoying learning how to sew doll clothes. Say you don't have an 18 inch American Girl style doll, but you do have an 18 inch doll or Cabbage Patch kid you would like to make clothes for....Rosie's Doll Clothes Patterns Online Tutorials has patterns for you too. In fact these clothes will work on most 18 inch dolls. It does not have to be an American Girl doll brand. 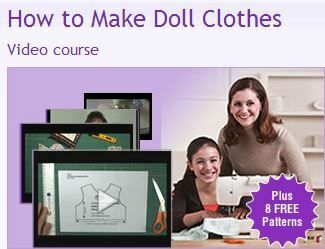 I highly recommend Rosie's Doll Clothes Patterns Online Video Course!! It was fun to do and great mommy/child bonding time. Several members of the Schoolhouse Review Crew were able to use Rosie's Doll Clothes Patterns Online Tutorials. Be sure to make sure to check out the Schoolhouse Review Crew blog and see how their families were able to use this awesome online program. 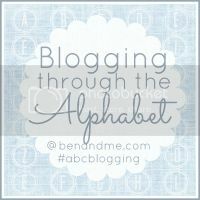 Vocabulary and Spelling are subjects that I usually just have the kids do worksheets with. Or we have some discussions about vocabulary words while we are reading books. But this method has done nothing except cause whining issues. "Seriously....another worksheet. You mean I have to write!" Our boys have difficulty with fine motor skills for handwriting. So that does get frustrating to them. 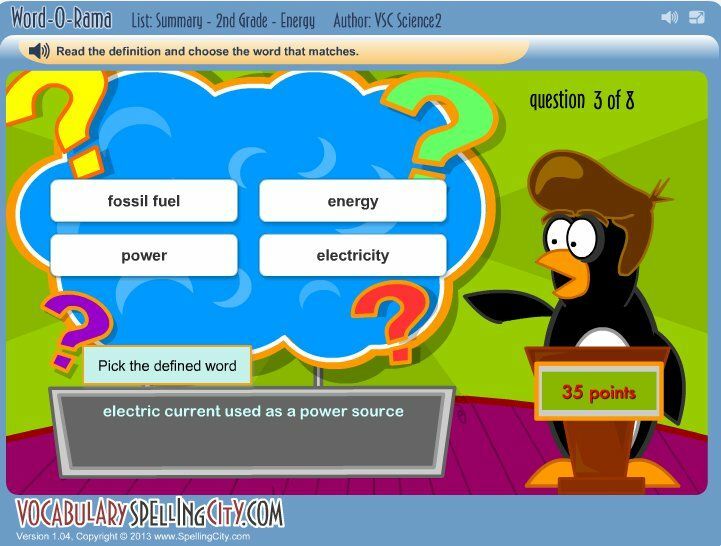 VocabularySpellingCity ($29.99 per year for premium membership for up to 5 students) has been a lifesaver to us to help with Spelling and vocabulary words. VocabularySpellingCity is an award winning online program that allows students to work in fun ways with their spelling and vocabulary words. They give you access to over 50,000 words and sentences already entered into word lists, and you can still type in your own spelling lists and save them. The words and sentences can be read to the student by the computer allowing the student to be able to work more independently. VocabularySpellingCity does have two levels of access to their service. 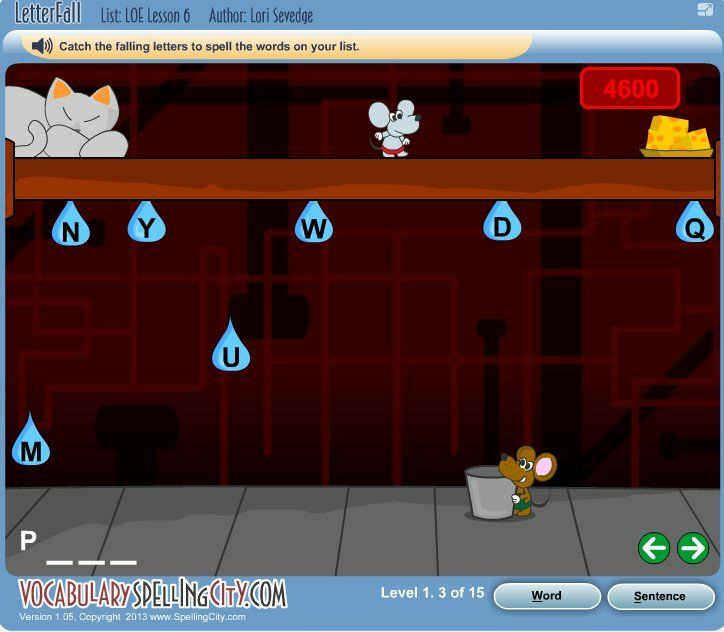 There is a free level which provides lists, limited access to certain games, handwriting worksheets, and tests. For only $29.99 for access of up to 5 students, parents can have full access to all games, word lists, spelling tests and quizzes, assignment tabs, grammar videos and work, teacher resource area (including assignments and recording keeping paperwork). The boys are not using this as a "spelling" program right now. Instead I have just been assigning them vocabulary lists. VocabularySpellingCity is named perfectly in that you are learning your spelling as you are learning vocabulary. After I assign a list of words, I can choose what games the boys can play to help them learn how to use the words in sentences and the meaning of the words, and still sneak in a couple games so that they can learn how to spell them also. The list of games that you can assign as part of the Premium membership is wonderful. I can assign as few or as many games as I would like. Some days the kids only want to play 1 of the assigned games, and others they want to play multiple games. I can go in and make adjustments to their assigned games if needed. By the way, each one of the children have their own user id/password. That makes them feel pretty special. But as the "teacher" who keeps forgetting them, at least I still have access to all of this information. There is a video that VocabularySpellingCity made to help explain the benefits of the Premium Membership. 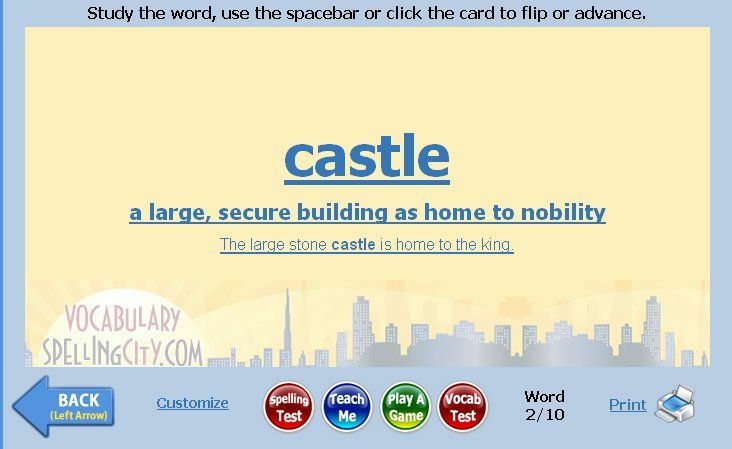 The boys and I have also been taking advantage of the Teacher Resources that are available with VocabularySpellingCity. 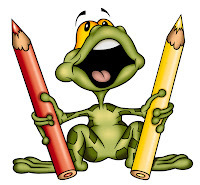 This section of VocabularySpellingCity provides videos, extra worksheets and games that the children can play to help them grasp the writing or grammar technique. Joey has been using this alot and really likes this, since he learns more from seeing and just reading. I like the extra worksheets (oh yeah....my kids hate my love of paper) to help them really grasp the skill. Lydia is really just starting on spelling. I am combining her learning of sight words along with her spelling right now. It seems to be working, as she is able to play the games helping her remember the words. But then she is able practice her spelling also. Instead of just copying her spelling lists, she is able to play fun games to help with retention. Most of the games help out by reading the words or directions to her....which helps me out since she is still struggling with higher leveled reading and gets frustrated easily causing her to shut down. VocabularySpellingCity doesn't add anything extra to our schedule. In fact, if you factor in the time it takes them to "copy" their spelling words....and this includes the arguing about why spelling is important and why learning how to use words properly is so important......VocabularySpellingCity has actually decreased the amount of time the kids spend on spelling each week. In fact, Lydia forgets that she is even doing spelling. With the large amount of games to choose from, I try to change up what they do weekly. Unless there is a favorite game that they love and do really well with. Then I will make sure that game is included in their work. One of their favorites is LetterFall. The word is read to them and then they need to catch the letters (in order) that are in that word. This really makes their brains work with their fingers and helps with visual perception therapy. All the kids get a little frustrated, because you lose points if you get the wrong letter. I really like this game because of the hidden benefits besides learning how to spell. If you choose to, you can also print flashcards for the kids to use. The boys hate flashcards, and Lydia is also not a fan, so I haven't printed any of these yet. But with Lydia feeling more confident in her reading, we will start using these more her practice. This is another favorite game. The kids need to match the spelling/vocabulary word with the definition. The boys really like this game, Lydia is learning too. She does like this game though, she just gets frustrated needing to hit the "repeat" button in case she forgets which word is which. As her reading has been improving slowly, she has really started liking it. She says, "Who doesn't love a game with a penguin?" VocabularySpellingCity is very easy to use. It does not add any extra work to my schedule, in fact it has been nice to be able to move around and work with other kids during "spelling" time. I am able to assign games/videos to the kids and leave them to work as independently as possible. I personally believe that the Premium Membership is definitely the way to go with VocabularySpellingCity due to the extra benefits and ability to assign tasks and the wide variety of games that are available for me to assign the kids. Joey and I are also really liking the videos and extra grammar resources that are available under the Teacher Resources. This section has been really great for Joey. VocabularySpellingCity is great for kids in Grades K - 12, so it is easily able to be used with a wide variety of age groups and skill levels. That is another reason I really like this program. We have so many programs that are kid specific. This is not the case with VocabularySpellingCity. We have 3 kids using it now. It takes me just a little time to assign lists and games/activities for the week. It might take me a little longer to watch videos before I assign them to Joey, but really I am spending less time planning in this area. Several members of the Schoolhouse Review Crew were able to use VocabularySpellingCity. Please take some time to check out the blog and see how this program worked for their families. I am going to be very honest with you. There are days that I dread the hours of 5:30 am to roughly 7 am. This horrible time of day is a black hole of rudeness, inappropriate comments and behavior. Don't get me wrong, I LOVE our kids. But this time of the day pushes both Joe and I to our MAX!! This nasty, dreaded time of day is when Joey is waking up and his medication has not started working yet. You might think....seriously you medicate your child. You are awful parents!! Well I guarantee that if you were living in our house, you would be using medication right along with the kids at this hour. So don't judge us, if you are not living in our shoes. In the past Joey has walked out of the house and rode his bike to my brothers house. With us still in bed and not hearing him. This is extremely dangerous behavior. He has gone into our backyard (which fortunately is fenced in) and woke up my parents in their house. He has gone out and just stood barefoot in snow drifts. So not only is there dangerous, possible injury incidents we have to watch for, but he uses words and phrases we don't even know where he got. If he can't think of something, he will make up something. And attempt to make it as lude as possible. I have been called so many names, that I have started blocking out this most days. There are constant reminders about appropriate behaviors and how our words hurt feelings. How inappropriate actions might be funny to you, but not funny to others. The scary part is that he does not always remember what he done while acting this way. The manicky behaviors are very scary. You have heard the phrase that 'the child was so hyper they were bouncing off the walls', well we have actually seen Joey run into the wall repeatedly and bounce back.....just because he could. Joey wakes up like the Energizer Bunny and always on the go. I think the hardest part, besides watching him not even realize what he is doing, is the fact that half the time Joe and I have not had enough sleep and already feel horrible. So if we cannot function at a high level, it equals less patience for us. It's really, really hard on a daily basis. Don't get me wrong, I LOVE our kids. But most days I dread that Autism hour. Some days are worse than others. It really makes it hard to make the day better when that morning you most likely was woke up feeling like someone dumped an ice bucket on you. We have lots and lots of prayer for extra patience as we try and get ourselves woke up and our brains functioning at a close speed to what Joey's is already functioning at. Do any of you out there have an "Autism" hour during the day that you dread? Does your happen first thing in the morning or is it at different times of the day? I am going to make some changes this week. We are going to try some subjects together. Trying to juggle 4 separate science and history topics is killing me. Let's just say my brain has turned into non-Newtonian liquid.....it's still there but not sure if I am solid or a liquid...lol. So the older kids will be doing science and Ohio History together. Since Lydia is a bit more creative, I will have little side projects that she will enjoy. Such as this week we are reading about the Native Americans of Ohio. So I found a Wampum belt she can make. The experiments in Science should keep all their attentions. Piano and guitar of course. Older kids have bowling. Girls have ballet and we have DIY Club on Friday. World Geography - Bolivia for World Travelers Club. Lydia has picked her topic, so this week she will be working on her project and just learning basic facts about Bolivia. Joey will be picking a topic and creating a project. Joey is still hitting the Math basics. He is struggling so much, that I just keep reviewing the basics. It is really frustrating to see him struggle in this area. He will finally be finishing his Halloween essay. In Grammar he will be sorting common/proper nouns (this is a quick review) and working on pronouns. He is reading some Geronimo Stilton books right now. Brayden will be taking his quiz on factors and then start on early division. In Grammar/Language Art he will be working on sequential order. His art class in Time 4 Learning is on Shape and Form. Also working on remembering the States and where they are located. Lydia was struggling a bit remembering her spelling words last week, so we will be doing those again this week. She is working on addition word problems and writing her own addition problems. Her writing this week will be about a mermaid. Not sure what direction she will head with this one. In Grammar she will be tackling antonyms. She is feeling a bit more confident in her reading and keeps selecting harder books. In American Girl Club we will be learning about tide pools to go along with our reading of Kailey. I found some fun projects for her online to help her more with writing and reading graphs. Caty is going to sit in on the American Girl stuff and Science also. She is also still learning about Space, so we will be adding planets to our wall. Caty is still loving Math Seeds and Reading Eggs, so we will be working with that program. This week we will be working on the Letter N and O. Hope everyone has a wonderful week!! See you on Saturday! 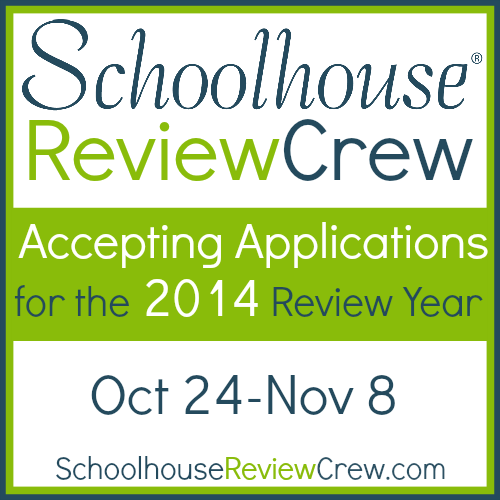 2014 Schoolhouse Review Crew is take applications!!! We have been on the Review Crew for 2 years now and absolutely love it!!! We have gotten to use so many new products that we would have never gotten or even known about if we did not have this opportunity. We have also met some wonderful and caring people along our journey. The Crew Mates ROCK!!! You must be willing to use the review products for about six weeks in your homeschool, before writing your review. Review periods have deadlines and requirements for the reviews. You must be willing to follow our requirements. No, that doesn’t mean you must write a positive review. But it does mean that there are certain elements that are required. And the deadlines are firm. If you are often late for deadlines, the Crew is probably not for you. You must have a blog on which to publish your reviews, and be sure you have an active blog with a following. By active blog, I mean that you should be blogging regularly, at least weekly, about your family and homeschool (in addition to your reviews). Your blog should have followers — RSS feed or email subscribers, as well as in social media. I’m sorry, but we don’t accept brand new bloggers who just set up their blogs for the purposes of applying to our team. Are you using social media to promote your blog? Activity on at least one social media platform is a requirement to serve on the Crew. Which one is up to you — Facebook, Twitter, Pinterest or Google Plus are our preferences. You will need to be willing to promote your reviews there and post a widget or plug-in publicly on your blog, indicating how many followers you have in social media. You must be willing to check into our Review Management forum. This is where we communicate with our team. We do everything possible to make things easy for you, outside of writing the actual review, but you need to be willing to participate by checking in Monday through Friday. 2014 Schoolhouse Review Crew Application. A friend of mine suggested a creative writing assignment for the kids this week. Brayden and Caty do not enjoy creating stories....yet. Caty did see how much fun Lydia had though this week, and may start enjoying these little activities. Anyway, their assignment was to create a monster and write a story about it. Joey is just now learning how to write stories, as creativity is not a strong area for him. But he did have some fun with it. Lydia LOVED this. Lydia and I worked on adjectives this week to go along with the writing. Joey and did a little work with adjectives. So without any further words from me.....here are Joey and Lydia's stories. Gellin is a monster that is made out of a mix of slime mutated jello and gell. He can hide by turning into the shape of any object and can stretch his arms to grab Anything or anyone if a object is in him it gets ate away by the acids in his gellatnis structure. If a person is in Gellins body they cant get out unless he hides by changing shape. And can move on walls and ceilings. My pet Monsters Name is Lydia. She is fat and rainbow colored. When she is happy her polka dots appear. She loves blueberries and eats them all the time. That is why her teeth are blue. Lydia has a pet cat named Brownie. She loves to jump rope and ride her bike. Lydia loves to learn about China. Lydia loves to play pretend. One day Lydia fell asleep watching Mulan. She starting dreaming she was defending the Great Wall of China from tiny, clay soldiers. The clay soldiers were throwing fortune cookies at the wall. Lydia's mouth grew bigger and she started eating the cookies before they hit the Wall. The soldiers were scared of her blue teeth. They started running away. When that happened Lydia released her crickets at them. The crickets ran the clay soldiers away and saved the day. The people that lived by the Wall were so happy, they gave Lydia all the blueberries and egg rolls she could eat. Lydia woke up with a bellyache. But she was so glad she could help. After a snack, Lydia decided to ride her bike to the library since she ate so much in her dream. She checked out more books on Ancient China. Next weeks Lydia is going to be learning about Tide Pools for American Girl Club. So I am going to give her a mermaid theme to write about. She should love that. Link up with other moms at Ben and Me.